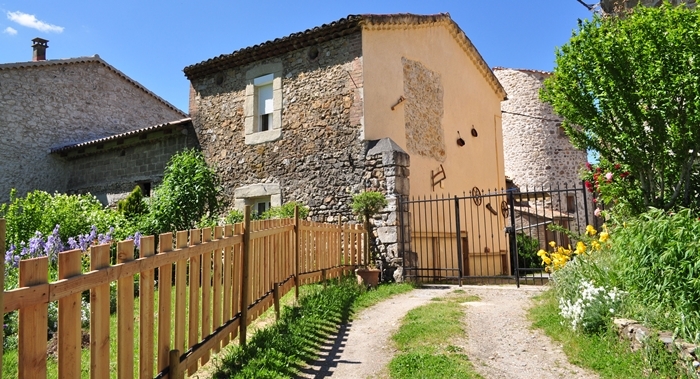 Our gîte, Le Mas Fleuri, is situated in a quiet and pastoral settings on the site of an ancient monastery, in the Cevennes countryside close to recognised rivers and tourist spots. Bessèges, a typical Cevennes village, is located less than 2km away. Saint-Ambroix, a medieval town, is 10km away. Les Vans, a pretty summer town with its weekly market, is less than 20km away. The famous Gorges de l’Ardèche in Vallon Pont d’Arc is located about 40kms away. For a wellness getaway, the spa town Allègre-les-Fumades is only 20km away. As for the sea, it is about 1h30 by car. We would be happy to assist and to give you information and activities of the region during your stay if necessary.